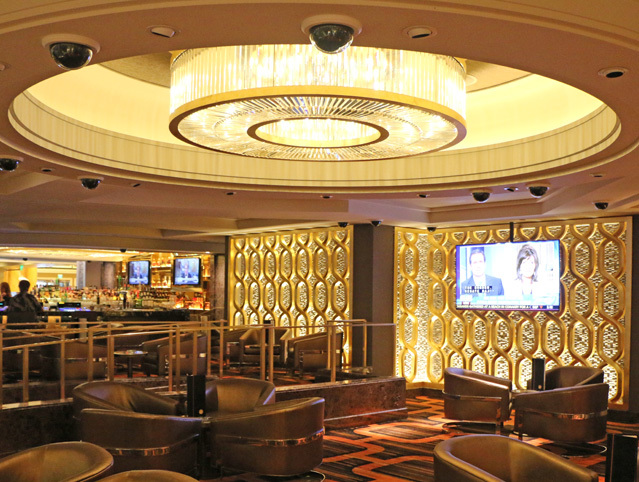 The newest addition to the Caesars Palace bar and lounge scene, Lobby Bar is a premiere cocktail destination. 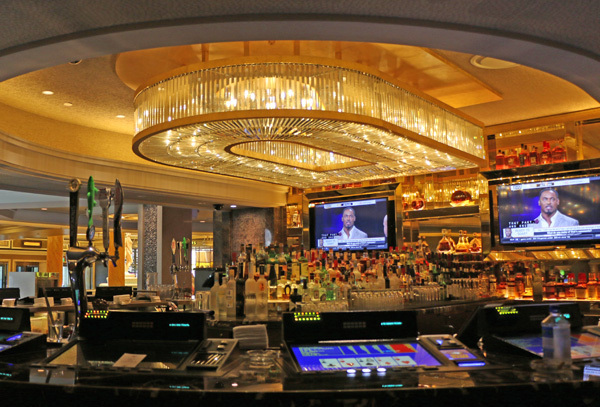 Formerly the Galleria Bar, newly renamed Lobby Bar reopened in the summer of 2014 after a sleek, million dollar renovation and expansion. Allard & Conversano Design of Oakland, CA, were commissioned for the Lobby Bar’s sophisticated redesign. The new space features expansive lounge seating enwrapping the front-desk reception area to the Palace Court Baccarat tables. Lobby Bars’ warm colors and 100 plush seats bring an intimate feel to the space. 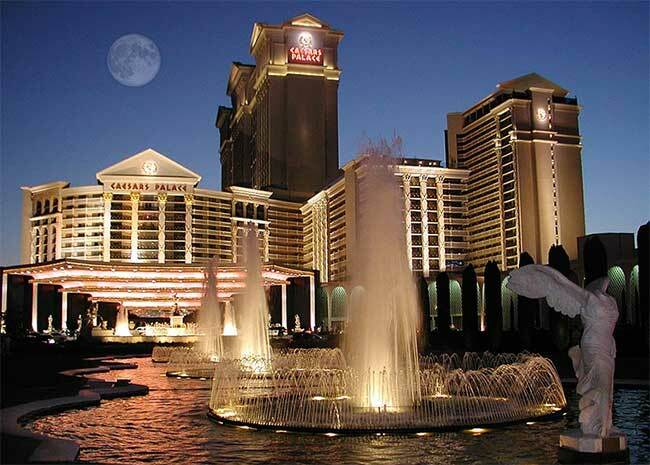 Gold accents, marble fixtures and contemporary Roman art highlight its stylish aesthetic. 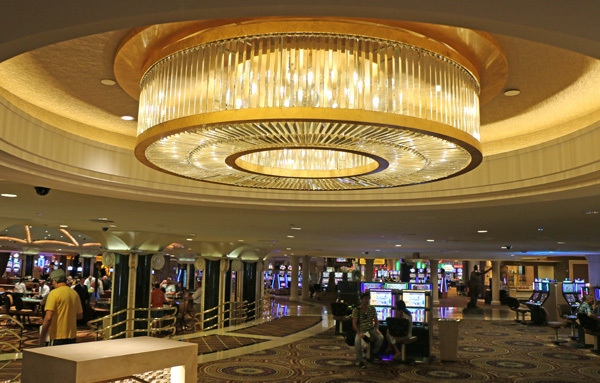 Royal Contract Lighting created three circular custom crystal chandeliers for the Lobby Bar’s entry area, lower and upper seating areas, which span 4 to 6 feet in diameter. 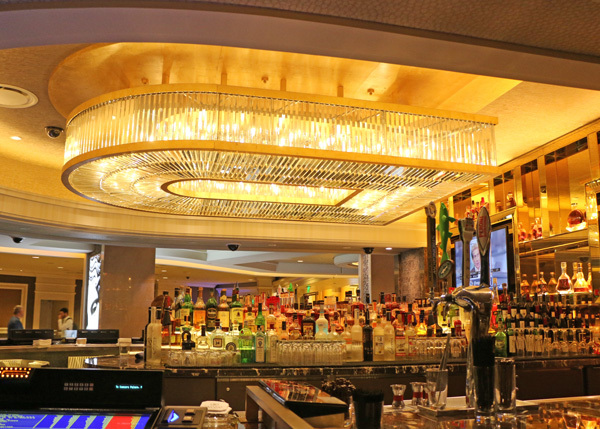 The horse-shoe shaped chandelier over the bar area measures 9-1/2 feet in length. Thousands of champagne color crystal baguettes adorn the gold leaf finish canopies and frames of the four massive fixtures. The Lobby Bar complements the Roman opulence of the historic Caesars Palace, which opened in 1966 as a destination for celebrities and high rollers, and continues to be one of the most famous hospitality and gaming venues in Las Vegas.